Sky's pay-per-view Now TV service remains on track for a launch in the next three months, as the company insisted it is now confirmed as Britain's biggest triple-play provider. The trials and tribulation of the Murdoch family have overshadowed Sky's over business in the first three months of 2012, but the company has had a decent time with its broadband and telephony business according to its latest financial reports. Although its core business, TV subscriptions only rose by 15,000 in the quarter, HD subscription increased significantly (up to 4.2 million) and broadband, telephony and line rental all went up by more than 200,000. This led to the company declaring it had the "largest base of triple play customers in Britain at 3.2 million, up 24% year-on-year". 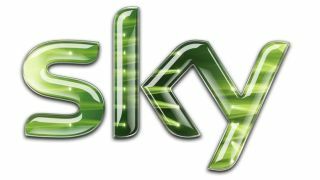 Also on the horizon for Sky is its next major service - Now TV - available to anyone with a broadband device. "Now TV on track for launch in first half of calendar 2012, widening the availability of Sky content on broadband-connected devices," confirmed Sky. Chief executive Jeremy Darroch pointed to the growth in customers taking bundles, broadband, telephone line and television. Darroch: ""The decision to focus our marketing on home communications has paid off with...confirmation that Sky is now Britain's favourite triple play provider." "We have made a good start to 2012," he said "In what remains a tough economic environment, strong and consistent execution of our plan has delivered good growth across our product range. "We have grown revenues by 5% while holding prices flat for customers and delivered a record nine-month operating profit of £908 million alongside 24% growth in earnings per share. "The decision to focus our marketing on home communications has paid off with our fastest quarter of growth since launch and confirmation that Sky is now Britain's favourite triple play provider. "More households are choosing Sky and taking more products from us because we're constantly looking to improve the quality and value that we offer. "Already in 2012, we've launched an entirely new channel dedicated to Formula 1, given millions of households access to a huge choice of on demand TV and made our market-leading broadband service even better with the launch of our fibre products and free out-of-home WiFi. "Looking ahead, we will continue to improve our service for all Sky customers as we believe this is the best way to build a larger business and continue to increase returns for shareholders."